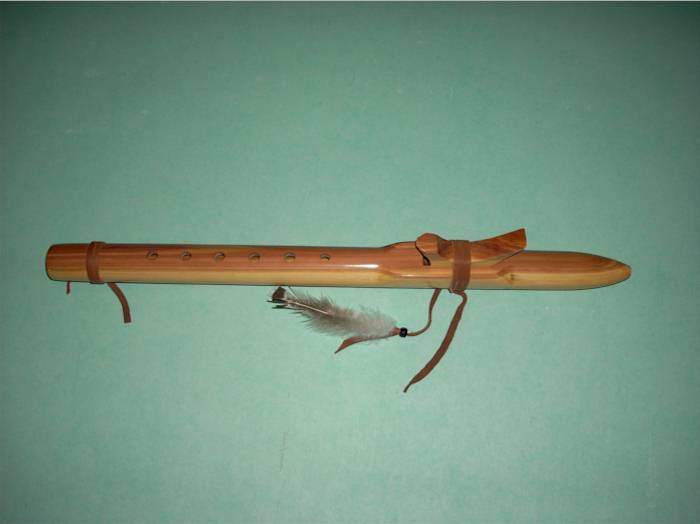 Handcrafted Native American Flutes in a variety of woods. Custom single and drone flutes available in both 5 or 6 holes with choice of wood and finish. Each flute comes with a stand and carrying case. "I handcraft all PLC flutes myself and personally guarantee them. Much of the time crafting my flutes is spent on the sound mechanism, the heart of the flute, insuring the quality of sound expected when purchasing your flute. I make my flutes in a variety of woods but prefer the eastern red cedar. The eastern red cedar can’t be matched for its natural beauty and tone; which is, in my opinion, the perfect balance of warmth and clarity. Other popular woods I work with include redwood, maple, western red cedar and various exotic hardwoods. "My traditional line of 6 hole flutes are made from eastern red cedar, with a hand rubbed satin finish in your choice of key." Custom single and drone flutes are available in both 5 or 6 holes with choice of wood and finish. 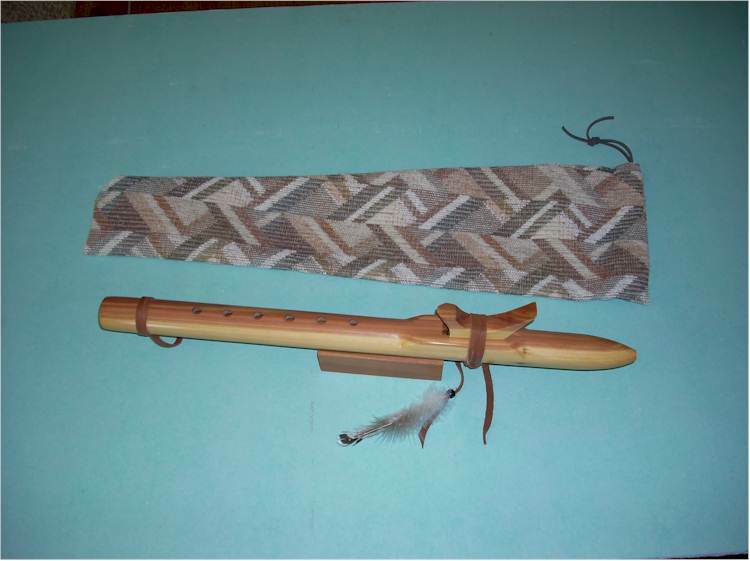 Each flute comes with a stand and carrying case.